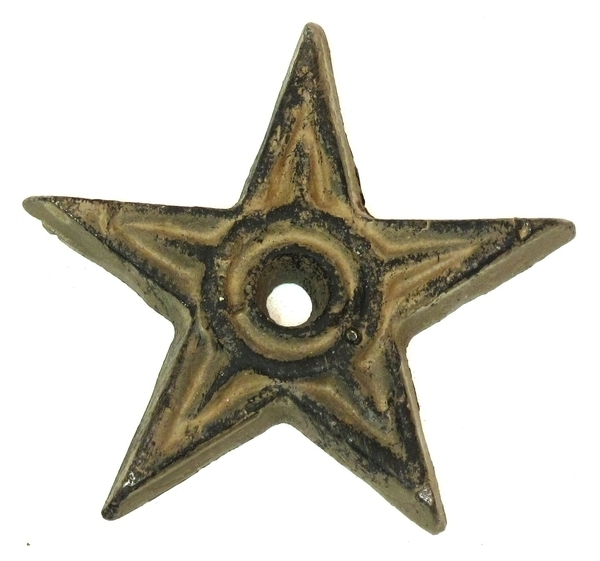 Rust Cast Iron Star - Set of 12. It measures 2 3/4" wide, the hole in the center is slighlty over 1/4" at the smallest point. It is great for using as taper candle holders, wall hanging, and for a variety of crafts and home or business western decor.